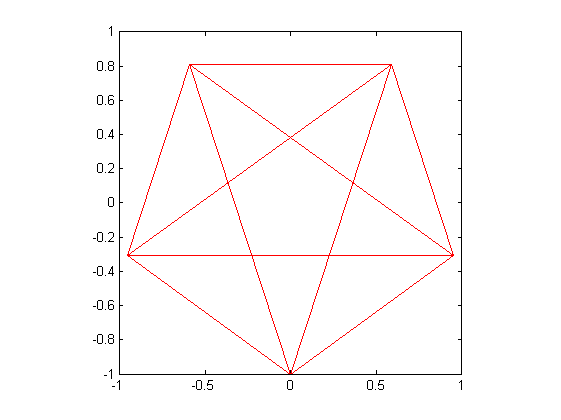 Today I shall teach you how to draw pentagrams in MATLAB. Just in case, if suddenly a wild demon will appear before you. Remember, it is super effective! Venerate the power of the complex exponent!